The majority of adults in the United States take one or more dietary supplements on a regular or semi-regular basis. Dietary supplements come in various of forms including pill form, powders, as well as drinks and energy bars. If your diet is lacking a nutritious variety of foods, supplementing can help you get adequate amounts of essential nutrients. When you’re on a training regimen, it is even more important to make sure your body has everything it needs to stay strong, healthy and recover to the best of its ability. Supplements are a great way to achieve this, but they can be tricky. If not ingested in correct form or in the right amounts, your body may pass them through as waste, which is basically money down the drain. (Literally) For this reason, you want to make sure you pay attention to the recommended serving per day and break it up appropriately between morning and night. That being said, what supplements should you take? Where do you even start? First and most importantly, the Multivitamin. A good multivitamin in the morning will start your day off right in terms of diet so you’re not having blood sugar crashes, or craving sweets or snacks throughout the day, because your body is starting the day out with most of the nutrients it needs. In order for your body to absorb the vitamins efficiently, I recommend taking one that’s made from whole foods. This one from NewChapter Organics is a good option because it’s made from organic vegetables and herbs which are easily processed by the body, and can be taken on an empty stomach. The one I take has added nutrients for Immune, Stress and Hormone Support. Who doesn’t need that? B Vitamins. B Vitamins help convert food into cellular energy. They’re also necessary for normal functioning of the nervous system. This Super B-Complex formula contains high levels of all your needed B Vitamins and Vitamin C for added antioxidant support and to help support the immune system. In addition, most report a better mood and increased mental focus when supplementing B Vitamins. Since this produces energy, it is best taken in the morning as opposed to in the evening. Vitamin D. Vitamin D is essential to healthy bone, breast, prostate and immune support. The truth is, in this day and age where most people are deathly afraid of UV rays, a significant portion of the population is Vitamin D deficient. Ideally, one would have levels measured to determine their ideal dose, but most would benefit from taking 1000 to 2000 IU daily of vitamin D3. In my personal opinion, Vitamin D should be taken in the morning, since naturally you would be absorbing most of your Vitamin D in the daytime, but I haven’t heard any scientific arguments against taking it in the evening instead. Magnesium. Magnesium is a mineral that is involved in over 300 reactions in the body and is unfortunately often lacking in the standard American diet. Magnesium deficiency can cause constipation, heart palpitations, or muscle cramps. I like this Calcium and Magnesium powder because it’s formulated to avoid excess dietary calcium depleting the body’s vital magnesium supply, and to avoid symptoms associated with low magnesium and high calcium levels. This formula includes nutritional co-factors to facilitate the assimilation, distribution and utilization of calcium. I put it in my night-time tea and it dissolves instantly. I like to take my magnesium in the evenings because I find that it has a relaxing effect on my muscles. Glucosamine Chondroitin VS Collagen. Glucosamine chondroirin is a supplement that you can take if you tend to have joint issues, especially while training. Glucosamine. Glucosamine is a naturally occurring chemical found throughout the human body, including in the fluids surrounding joints. Chondroitin. Chondroitin is another naturally occurring chemical, found in cartilage around joints in the body. A lot of people have reported stomach issues when supplementing with glucosamine & chondroitin mainly because most of the time these supplements are derived from sulfates. For this reason and many other reasons, I usually suggest Collagen Types 1 & 3 in place of glucosamine & chondroitin. I believe collagen to be a better supplement for this purpose because it also covers many other purposes. It’s not only good for the joints and bones, but also your hair, skin and nails. Collagen is a complex structural protein that maintains strength and flexibility throughout the body. As we age, collagen depletion can lead to common signs of aging in the skin, hair, nails, muscles, tendons, ligaments, and bones. I really like this Super Collagen +C which contains clinically studied BioActive NeoCell Collagen which supports healthy collagen formation throughout the body. Using NeoCell’s technologically advanced hydrolyzation process, large collagen molecules are enzymatically hydrolyzed into small peptides that are both bioavailable and bioactive in the body. NeoCell Collagen has been shown to increase skin hydration by an average of 21% and up to 50%, with 92% of test subjects experiencing increased skin hydration, and 60% experiencing firmer, softer skin. The serving size is a bit large at 6 capsules per day, so I break this up by taking 3 in the morning and 3 at night. NeoCell also makes a powder version of this that can be put directly into a protein shake. Protein with BCAA’s. Supplementing with protein is SUPER important if you’re training or trying to build muscle. (Yes, even lean muscle) Whey Protein Isolates (WPIs) are the purest form of whey protein that currently exists. You should consume approximately 1 gram of protein per pound of body weight through a combination of high-protein foods and protein supplements. If you’re wondering what foods are high in protein, check out my “Food” tab at the top of the page for information and recipes. For the best results, consume your daily protein over several small meals, spread evenly throughout the day. Take a look at your protein label to make sure you are getting all of your BCAA’S (Branched Chain Amino Acids). These are CRUCIAL for muscle growth and recovery. You can buy your BCAA’s separate from your protein, but most good protein powders will have them included. As a protein supplement, I really like Optimum Nutrition Gold Standard, which has 24 Grams Protein and 5.5 Grams of BCAA’s per serving. If you’re looking for a protein that is veggie based instead of dairy based, another favorite of mine is the Vega Sport Brand, which has 30g Complete Protein and 6 Grams BCAA’s per serving and is more easily digestible for the body. This one is more expensive than the Whey alternative, but I really do believe you get what you pay for here. If whey protein powder tends to hurt your stomach, definitely try the Vega option. Digestive Enzymes. Enzyme deficiencies may result from a combination of age, diet and lifestyle. These deficiencies can lead to a variety of digestive discomforts, including occasional gas, bloating indigestion and irregularity. 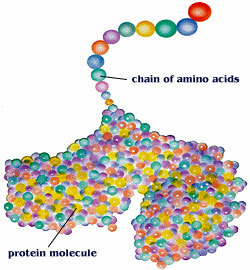 A good digestive enzyme helps the body break down carbohydrates, fats, fiber and protein and converts food into energy. Digestive well-being improves concentration and increases vitality. I like Digest Gold for individuals seeking a high-potency enzyme formula. Vitamin K can reduce the ability of the blood thinner Coumadin to prevent blood from clotting. St. John’s wort can speed the breakdown of many drugs (including antidepressants and birth control pills) and thereby reduce these drugs’ effectiveness. Antioxidant supplements, like vitamins C and E, might reduce the effectiveness of some types of cancer chemotherapy. Be cautious about taking dietary supplements if you are pregnant or nursing. Also, be careful about giving them (beyond a basic multivitamin/mineral product) to a child. Most dietary supplements have not been well tested for safety in pregnant women, nursing mothers, or children. So there you have it, a pretty good starter pack of daily supplements. For more information or questions, feel free to drop me a line here, on Facebook, or Instagram. Subscribe for more articles and videos on health, fitness, and overall wellness. Really love this article and very well made – Thanks fro sharing all your thought.